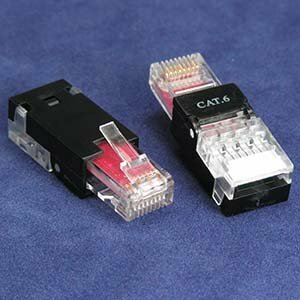 RJ45 Cat.6 UTP Toolless Plug - NWCA Inc.
Cat.5E RJ-45 TOOL-LESS plug is 8-position 8-conductor (8P8C) and designed for computer networking. The unique tool-less design does not require the use of a crimping tool. Simply insert the leads following the color coding, and press down the lid. 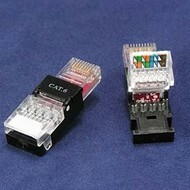 568A and 568B color wiring diagram is integrated on the lid for easy installation.